Looking for that extra special touch for your event or children’s party, that will sure be a hit with the little ones, check out our top children’s entertainer in Dubai. We were very lucky to spend some time with one of Dubai’s top children’s celebrities…… Magic Phil. Not only did we talk about all things magical, Magic Phil had a chat with us about how he got into magic, where you can find him performing in Dubai, and, what he has in store for the future in the UAE. Taking a trip down memory lane with our number one children’s entertainer was just as enchanting as we thought it would be…. Check out some of our questions and juicy answers we got out of him. It began on his 7th birthday when he received a Magic kit as one of his presents, a magician was also performing at his party, which just blew him away. It was then that he began to perform for family and friends. On his 11th birthday his dad surprised him with a mystery trip and took him to audition for his local magic circle, since then, he was hooked. Magic Phil then went on to study Performing Arts at college and landed his first professional magicians job at one of the popular holiday park’s in the UK. Before he came to the UAE he was touring with pantomimes around England. Which led us to our next question, and something we are pretty excited about…….. If you haven’t already been to see one of Magic Phil’s spectacular pantomimes, you need to book your tickets now! He has promised us this years pantomime will be even BIGGER and BETTER than last years. Full of amazing magic tricks and a few hidden surprises. 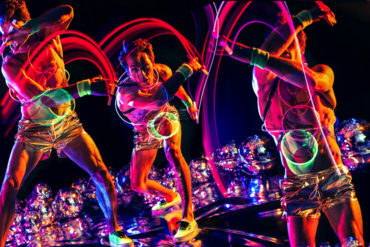 A show filled with laughter, singing, dancing, silliness and of course….. Magic. And its not just for kids! Mum’s and Dad’s can get involved too. A great family filled entertainment show. 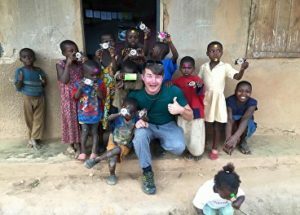 Being one of Magic Phil’s number one fans, and following his journey throughout Dubai and the UAE, we really wanted to know more about the Charity Mission he was involved in 2 years ago. 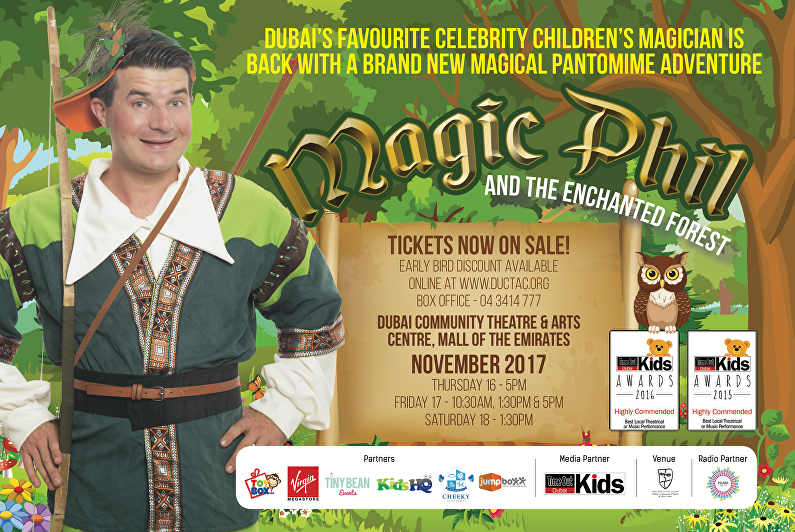 Not only does Magic Phil perform for children all over the UAE, he has also travelled the world to bring smiles to as many children and families much less fortunate than others. 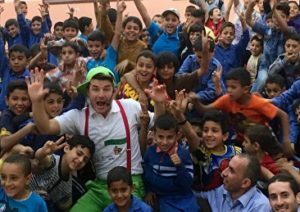 On April the 11th 2015, The Magic Phil Show was performed for hundreds of Syrian Refugee children. Where can we find you in Dubai? 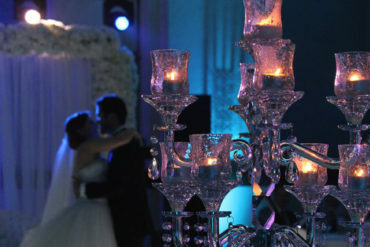 As well as performing magic shows at some of Dubai’s popular events. You can check him and his shows every Saturday at the family brunch, The Address Dubai Marina 12.30pm-3pm or The Jebel Ali Clubhouse 4.30pm-5.30pm. If that isn’t enough you can tune into Pearl FM every weekday from 3pm-6pm for Hits and Homework. Weekends 8am-10am and 3pm-5pm for Nonsense News. Also check out Magic Phil’s page in Timeout Kids Magazine, every month he dedicates a page to his young fans full of jokes, games, fan photos and even prizes.. 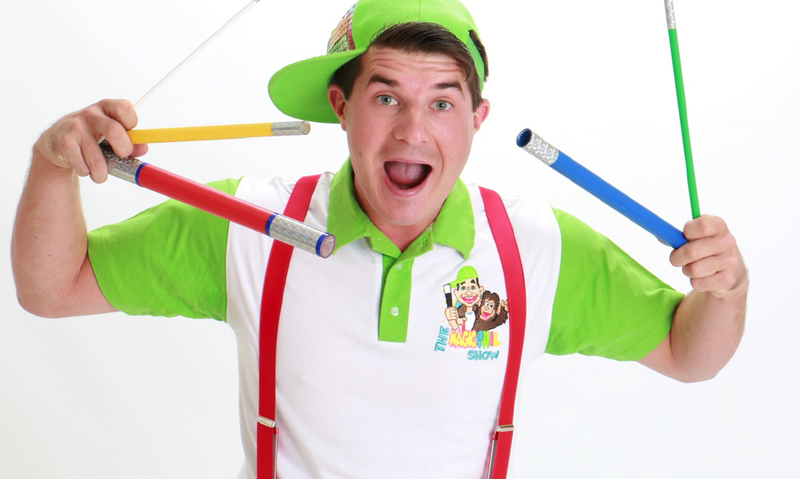 So there you have it, our Top Children’s Entertainer in Dubai. If you didn’t know who Magic Phil was, you do now. We hope our chat with Dubai’s best loved children’s magician has been just as fun for you as it was for us. And as Magic Phil would say ‘ Keep Smiling and Stay Silly’.